In celebration of the IJA’s 70th Anniversary, the 2017 IJA Festival will emphasize the history of our art form. This will be done in a number of ways. 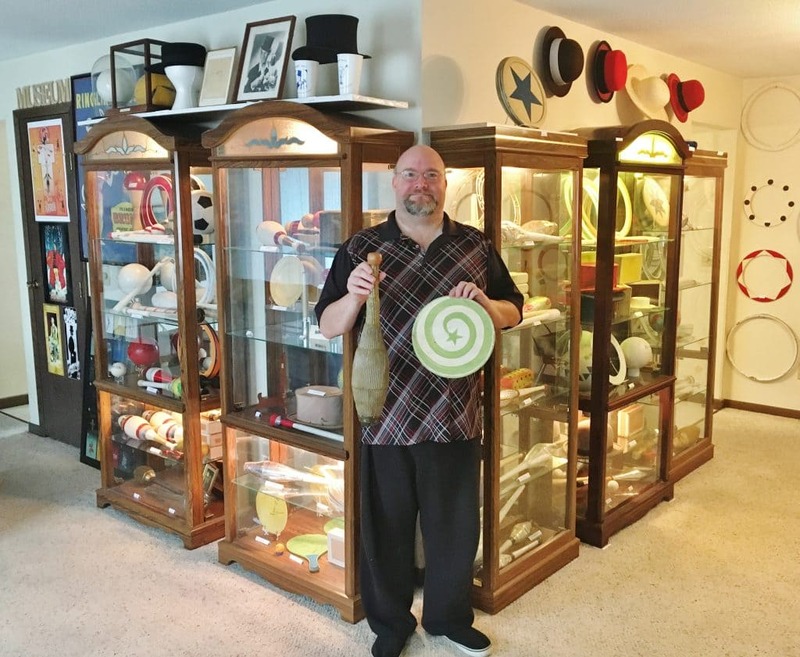 The Museum of Juggling History will be on exhibit for three and half days. This will be the largest display of historical juggling props ever shown. You can come by to see the exhibit for yourself and even take a guided tour at scheduled times. Props from many, if not most, of the greatest jugglers throughout history will be on display, as well as numerous old props showing how the tools of our trade developed over time. The museum display will be open Monday, 11am-2pm and Tuesday through Friday, 11am-5pm. Another history feature of the festival will be a series of lectures. 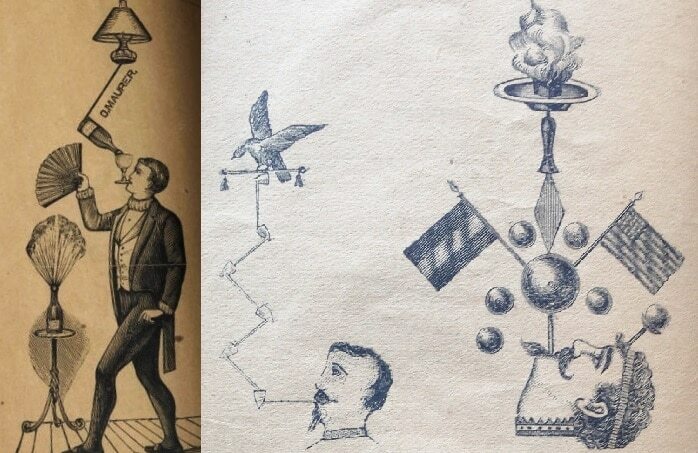 Erik Åberg and David Cain will present a lecture on the History of the Juggling Club on Tuesday at 3pm. Erik Åberg will present a lecture on Paul Cinquevalli on Wednesday at 3pm. 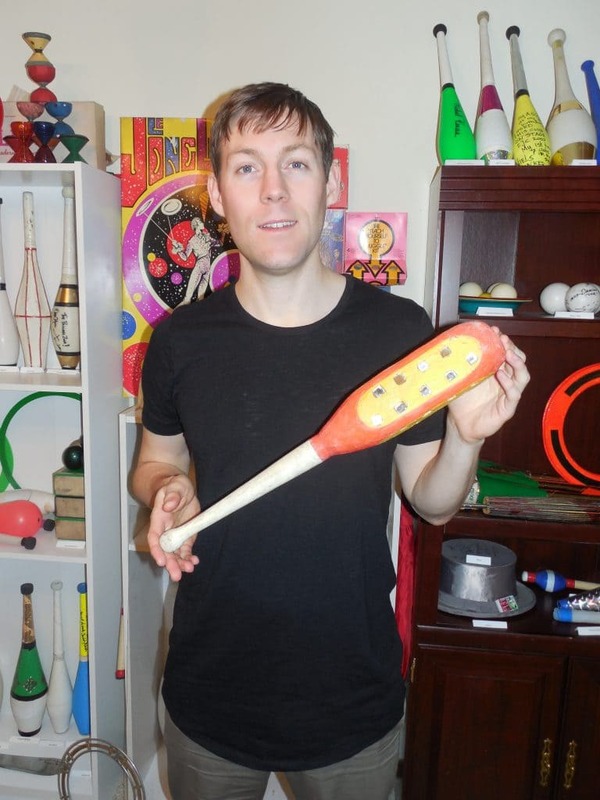 Finally, Erik Åberg will present a much anticipated lecture on The Definition of Juggling on Thursday at 3pm. The Juggling History Show will be Tuesday night at 11pm. This is the first time a show of this type has ever been created. Erik Åberg and David Cain, along with several special guests, will bring juggling history to life in a number of interesting ways. The first part of the show will feature 15 to 20 old school juggling tricks that most current jugglers have never seen live. Several of these tricks have been resurrected just for this show, having been forgotten for a century or more. Not only will you get to see these tricks, but you’ll learn a little history about each one as well. The second part of the Juggling History Show will be the showing of six videos that you can’t find online or anywhere else. You’ll get to see a newly found television appearance by Bobby May, clearly showing his act, including his upside down ball bouncing and the cigarette trick. You’ll see the clearest video ever found of gentleman juggler Felix Adanos, which is also a recent discovery. You’ll see King Repp performing part of his unique act, as well as a clear film of Trixie as a child, performing part of her amazing routine. Finally, you’ll get a chance to see the famed finale trick of Michael, the Head Waiter, as well as some unique diabolo tricks from 1920, performed by the Three Hearts. We can almost guarantee that you haven’t seen any of these videos, let alone all six. The third part of the show will be an audience interactive game, where old, no longer used names for familiar juggling tricks will be shared. Audience members will then have a chance to guess what the trick is before David or Erik demonstrate it. This should be a fun experience for everyone. Finally, a secret finale will happen that I’m told will be well worth the wait. It’s so secret that I (David Cain), the co-director of the show, have no idea what it is. Tickets for the Juggling History Show aren’t included in the festival package, but are only $10. These can be purchased at the registration table or at the door. Door prizes will be given out, which will include some of David Cain’s juggling history books. This show may never happen again, so you won’t want to miss out on this unique opportunity.